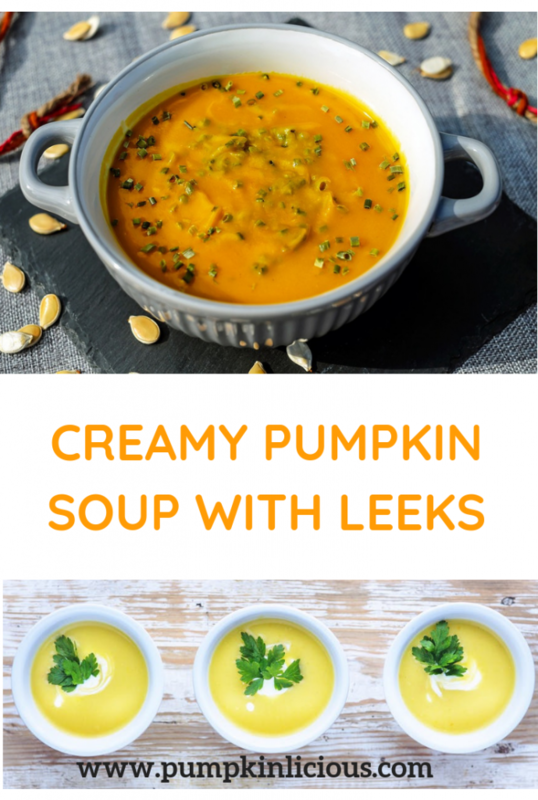 If you are looking for something flavorful and good for your tummy troubles, this pumpkin soup with leeks is exactly what you need! Try a bowl or two and you’ll agree! Having stomach issues isn’t fun. We’ve all probably had trouble with digestion (constipation). The doctor always says that we have to eat more vegetables especially green veggies, high fiber nutrition and drink more water. I know these three things are not always popular, but they are so very important. Getting our daily intake of fiber is crucial to our overall health! If you question if you get enough, it means that you need more! I know choose to make this pumpkin soup with leeks for the added boost of fiber. Pumpkin is a high fiber source while leeks are known as the best remedy for constipation, according to information in France. Intrigued? You should be! You have nothing to lose by making this delicious recipe! 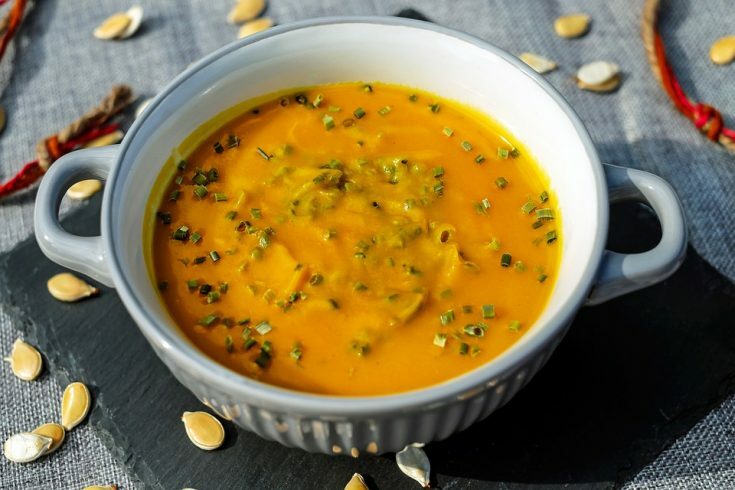 You'll fall in love with this super delicious pumpkin soup with leeks! Great for you and your gut! Clean the leeks, cut off the steamy bottoms then slice them. I use only the white and the light green part. Melt the butter in a pot over a medium heat, add in chopped garlic and leeks. Stir in until perfumed. Then add in the pumpkin, salt, pepper, sugar, and water. Cook for about 30 minutes or until the pumpkin becomes tender. The last step is to mix your soup with blender or soup-mixer. Did I trick them? Maybe…but then again, if they never would have given it a try, they never would have known that they liked it! So, in all reality, I think that I did them a favor! Give this pumpkin soup with leeks a try! You’ll be hooked after the first bite! If you love this I know you will be even more hooked on my pumpkin beet root soup with thyme! What would you add to this pumpkin soup with leeks recipe?